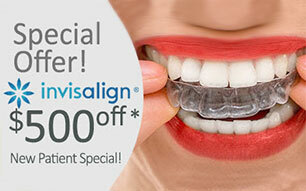 The cost of your orthodontic treatment may vary depending on your individual needs and treatment plan. Dr. Nguyen and her staff will discuss with you the cost of your treatment, and each of your available payment plan options, so that you are able to make the best choice for you. Our 89117 orthodontist will work with you to create a payment plan that fits your budget, and you will know what to expect before beginning treatment. Your smile is yours forever, and we want to make it as easy as possible for you to receive the best orthodontic care whenever you need it. We offer an in house dental plan that can significantly reduce the associated costs of orthodontic treatment for one low yearly fee! Call 702-919-7244 to learn more! If you have insurance that will be covering any portion of your orthodontic treatment, our office staff will always be available to help you with your insurance claims and paperwork. Please let us know if you have any questions about your insurance coverage; and how we can help to make your entire orthodontic experience a great one.